Gerresheimer is a leading global partner to the pharma and healthcare industry. With specialty glass and plastic products, Gerresheimer contributes to health and well-being. The company has worldwide operations and 11,000 employees manufacture the products in local markets, close to customers. With more than 40 plants in Europe, North America, South America and Asia, Gerresheimer generates revenues of approximately €1.3bn. The comprehensive product portfolio includes pharmaceutical packaging and products for the safe, simple administration of medicines: Insulin pens, inhalers, prefillable syringes, injection vials, ampoules, bottles and containers for liquid and solid medicines with closure and safety systems as well as packaging for the cosmetics industry. The Plastics & Devices division’s product portfolio includes complex, customer-specific products for convenient and safe drug delivery, such as insulin pens, inhalers and pre-fillable syringes. Diagnostics and medical technology products ranging from lancing devices and test systems, to plastic packaging for liquid and solid pharmaceuticals with closure and safety systems, are also manufactured by this division. The Plastics & Devices division is composed of the Medical Plastic Systems, Plastic Packaging and Syringe Systems business units. Medical Plastic Systems develops complex plastic systems and system components. Gerresheimer designs and manufactures them within the framework of individual projects, mainly for customers in the pharmaceutical, diagnostics and medical technology sectors. Medical Plastic Systems provides an individual service across all supply chain processes. The medical plastic systems range extends from inhalers for the targeted treatment of respiratory diseases, lancing devices and insulin pen systems for diabetes sufferers to a wide range of test systems and disposable products for laboratory and molecular diagnostics. Plastic Packaging’s portfolio includes plastic packaging systems for liquid and solid pharmaceuticals. Administration and dosing systems such as eye drop or nasal spray bottles and special containers for tablets and powder are some of the products in our comprehensive range of high quality primary pharmaceutical packaging. Duma® brand multifunctional closures with tamper-evident seals, child-resistant and senior-friendly closures and integrated moisture absorbers are key product features in the Plastic Packaging range. Syringe Systems supplements the other two business units’ portfolios with pre-fillable plastic and glass syringe systems and the relevant accessories. Our highly specialised expertise and pharma-compliant technologies enable us to offer high quality primary packaging products to our customers in the pharmaceutical and biotech sectors. We generate most of our syringe system revenues with our leading Gx RTF® (Ready to Fill) brand syringes. These syringes are supplied by us to the pharma industry in a wide range of designs and in a ready-to-fill state after washing, siliconisation, pre-assembly and sterilisation. The Primary Packaging Glass Division manufactures glass primary packaging products for pharmaceuticals and cosmetics such as pharmaceutical jars, ampoules, vials, cartridges, perfume flacons and cosmetic cream jars, as well as special glass packaging for the food and beverage industry. Gerresheimer has an extensive range of glass primary packaging products for the pharmaceutical industry. It includes moulded glass products such as vials, dropper and syrup bottles in diverse market and needs-oriented designs. The company also produces borosilicate tubing as the input material for our high quality specialty ampoules, vials and cartridges. As a result, Gerresheimer is able to offer an almost fully comprehensive range of transparent and amber glass for pharmaceutical packaging. The Life Science Research Division produces reusable laboratory glassware for research, development and analytics, such as beakers, Erlenmeyer flasks and measuring cylinders, as well as disposable laboratory products such as culture tubes, pipettes, chromatography vials and other specialty laboratory glassware. Gerresheimer is a global partner to the pharmaceutical and healthcare industries, providing special glass and plastic products. Gerresheimer is a global organisation with around 10,000 employees and manufacturing operations. With plants in Europe, North and South America, and Asia, Gerresheimer generates revenues in excess of €1.4bn. The company’s comprehensive product portfolio includes pharmaceutical packaging products and convenient drug delivery systems such as insulin pens, inhalers, pre-fillable syringes, vials, ampoules, bottles, and containers for liquid and solid pharmaceuticals with closure and safety systems, as well as cosmetic packaging products. Gerresheimer will reveal its first snap-on cap with child-resistant (CR) solution at booth B62 at this year's Pharmapack. Gerresheimer is a global partner to the pharmaceutical and healthcare industries. With irs specialty glass and plastic products, the company constributes to health and well-being. Our pharmaceutical ampoules are made with years of expertise and are in demand by customers worldwide. The company manufactures an extensive range of glass and plastic bottles for the pharmaceutical industry. Gerresheimer is an approved cartridges manufacturer for numerous applications in the pharmaceutical industry. We manufacture a comprehensive range of pre-fillable syringes solutions, which can be ordered in bulk and ready-to-use formats. 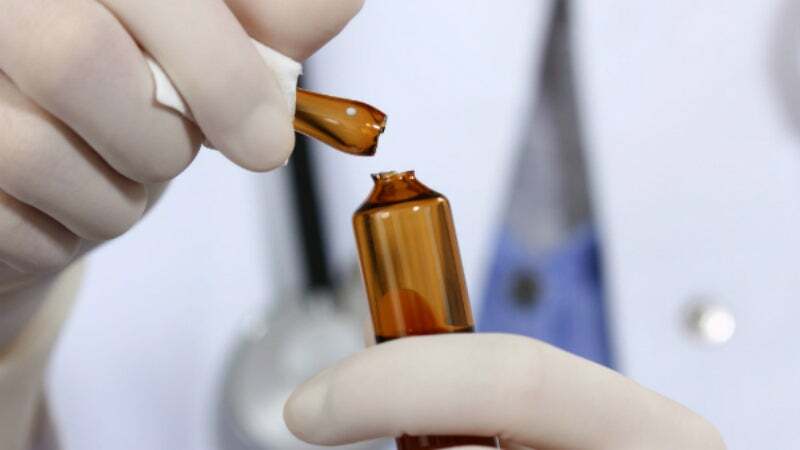 We offer a complete range of Vials from 0.6ml to 50 ml in sizes according to industry standards and customisable, with and without blowback (European and American version). Gerresheimer is one of the leading specialists for the production of high-quality glass and plastic products for the international pharmaceutical and healthcare industry. Gerresheimer has a strong commitment to product quality because optimum quality is absolutely essential in the healthcare market. Speciality chemical company Clariant broke ground for its new manufacturing and healthcare packaging plant in Tamil Nadu, India, on 20 January 2016. Portal Instruments and Gerresheimer have announced they will be presenting a joint presentation titled: 'New Meets Old: Challenges and Solutions with Developing a Custom Primary Container'. In July of this year, Gerresheimer acquired Sensile Medical, expanding its business model to become an original equipment manufacturer (OEM) for drug delivery platforms with digital and electronic capabilities. The Gx Elite vials have set new standards for Type 1 borosilicate glass vials. They are the result of comprehensive optimisation measures in the conversion process, which have focused on designing out the risk to create product flaws during production, including the removal of all glass-to-glass or glass-to-metal-contact beginning with the tubing material all the way through final packaging. Gerresheimer has announced it is expanding its range of services to include surface finishing of plastic packaging for ophthalmology and rhinology products with irradiation. Gerresheimer Gx Solutions is developing packaging solutions for the complex injectable drugs of tomorrow. Gerresheimer develops and produces innovative drug delivery systems and medical and diagnostic products for prestigious international customers. With a total of 13 sites across Asia for its range of glass and plastic products, Gerresheimer has announced it will be attending the Medipharm Expo this month. Gerresheimer has announced it expects increased growth and profitability mid-term due to two new major orders with temporarily higher capital index (capex) / organic revenue guidance 2018 narrowed to the upper end of the range. Gerresheimer is presenting new products such as the Gx InnoSafe, the metal-free ready-to-fill (RTF) syringe, and RTF vials at the CPhI China trade fair in Shanghai. Gerresheimer has announced that is has expanded its production capabilities at its plastic primary packaging manufacturing site in Anápolis, Goiás, Brazil. Gerresheimer’s Indian plants produce glass vials, ampoules and bottles that are specially designed for the storage of high-quality drugs. Gerresheimer has announced it will be attending CPhI South East Asia, where it will be showcasing a range of innovations and company news, including the opening of its new tubular glass production plant in India for producing MultiShell vials. Gerresheimer’s booth at the PDA Annual Meeting will focus on innovative glass and plastic vials for parenteral drugs that place high demands on the barrier properties and the safety of their primary packaging. Gerresheimer offers pharmaceutical and medical technology products of plastics and glass in its medical systems business unit. The Gx Elite vials are type I vials that meet high standards. Made from borosilicate glass, the vials prevent any glass-to-glass and glass-to-metal contact. The chemical composition of the borosilicate glass is still the same. Gerresheimer will be showcasing its Gx Elite vials at booth 36 at the PDA in Rome on February 27 and 28. Gerresheimer has announced will be presenting its Duma Standard CR container, which features Handy Cap CR at Pharmapack. Gerresheimer has announced it will be attending the Pharma Expo Dhaka trade fair in Bangladesh, focusing on pharmaceutical primary packaging made from glass. Dr Lukas Burkhardt has been appointed to the management board of Gerresheimer effective 1 January. Gerresheimer will present their passive integrated safety system for avoiding needlestick injuries at Pharmapack in Paris. Gerresheimer has announced it will be showcasing glass and plastic pharmaceutical packaging products that are Food and Drug Administration (FDA) registered and manufactured to stringent quality standards to the trade public at CPhI in Mumbai, India. Gerresheimer has announced that production of its US dropper bottles with a fixed TE-ring will be operational in Q3. Gerresheimer will be presenting its new type 1 borosilicate glass vial, Gx Elite, at CPhI Worldwide. With their exposed cannulas, used syringes are an omnipresent source of danger in medical practices, labs, or hospitals. One of the most talked-about highlights from Gerresheimer's LuxePack trade fair showcase is opal glass. Gerresheimer is pleased to announce it will be showcasing for the first time at this year's the Pack Expo trade fair, which is due to take place from 27-29 September in Las Vegas, Nevada. Gerresheimer is pleased to announce it will be showcasing its tubular glass packaging at the Pharmed & Healthcare event from 20-23 September in Ho Chi Minh City, Vietnam. Gerresheimer is delighted to announce it was presented with the Best Supplier Award from its business partner Mäurer & Wirtz last month. Gerresheimer has released the first eco-friendly plastic containers for pharmaceutical and cosmetic applications, BioPack. Gerresheimer AG sustained its successful trend through the third quarter of the financial year. Gerresheimer AG has successfully wrapped up its refinancing with the launch of a debt issue (Schuldschein) for a total amount of €425m. Temperature peaks in the manufacturing process are the main cause of delamination in tubular glass vials, which was discovered in a long-term study conducted by Gerresheimer AG and the Alfred University in New York. People who use eye drops know how difficult they are to put in safely without assistance. Developers at Gerresheimer believe in making good products better, and are presenting an improved Duma Twist-Off container called Duma Twist-Off Advanced for solid pharmaceuticals. Gerresheimer is one of only a few companies in the world to offer its customers both glass and COP syringes. Gerresheimer has developed an interface for the integration of glass syringes in autoinjectors. It has now filed a patent application for its Gx G-Fix standard adapter for precise and reliable positioning of syringes. The first time that most of us see a syringe and needle we are small babies and our mothers have taken us to the doctor to be vaccinated. Yet it is isn't just children who need vaccinations. For some diseases, we have to get vaccinated again as adults because the original vaccinations stop being effective after 20 years or so. The new Gx MultiShell Plastic Vials overcome the specific limitations of plastic vials and combine superior properties of plastic and glass containers to a high-end container for parenterals. The American Academy of Ophthalmology endorses the uniform use of a colour-coding system for caps and labels on topical ocular medications. Topical medications are applied locally, for example eye drops and nasal drops. Glass ampoules are ideal as a packaging for many cosmetic and pharmaceutical products. Gerresheimer incorporates its many years of experience in the meticulous production of ampoules to guarantee that they are safe to use and always in optimum quality. Gerresheimer Shuangfeng Pharmaceutical Glass (Danyang) Co. Ltd.